Designation of Japan’s Meiji-era sites overlooks some important history. This is Karel Aster’s year. In April, the Czech Republic granted the 95-year-old Florida resident the nation’s highest honor, the Gratias Agit, for his valor and bravery during World War II. Aster had volunteered to fight with the Americans in 1941 to defend the Philippines against the Japanese invasion. He survived the battle, the Bataan Death March, a hell ship to Japan, and years as a slave laborer at a Mitsui coal mine at Omuta, Kyushu Island. Also at the Mitsui site were American Lester Tenney and Australian Tom Uren. Tenney, another survivor of the Bataan Death March, persuaded the Japanese government in 2009 to apologize to the American POWs of Japan. Uren, who died last January, was a leading Labor Party politician who secured supplementary payment to Australia’s 900 surviving prisoners from World War II and the Korean War. This coming weekend, UNESCO will designate the Mitsui Miike coal mine as a World Heritage site of Japan’s early modernization. The Japanese nomination, however, makes no mention of the history of any WWII POWs or of the thousands of Asian slave laborers at this site. UNESCO is expected to approve 23 similar Japanese-nominated sites. Absent will be any accounting of the dark histories associated with these mines, foundries, and shipyards. Silence about the full history of these would-be global landmarks undermines UNESCO’s international goals and the U.S.-Japan alliance. 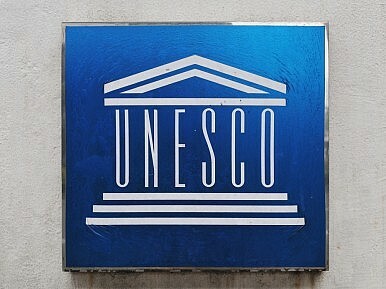 Currently there are 1,007 sites on the UNESCO World Heritage List. They are to serve as “instruments of international understanding and international cooperation.” The World Heritage accolade brings prestige and international attention to unique cultural accomplishments. World Heritage sites often become tourist attractions and many nations view the designation as a path to reviving fading regions and cities. That is one motive behind Japan’s nomination of its sites. But the selective telling of their history is part of the Abe administration’s broader policy of restoring Japanese pride in their past. The regions of Japan’s UNESCO nominations are in search of tourist dollars as they are among the hardest hit by the country’s economic downturn. Tourism is a growth industry in Japan with visitors from China nearly doubling and Korea not far behind. Many of the nominated sites are also located in the home districts of Prime Minister Shinzo Abe, Deputy Prime Minister and Finance Minister Taro Aso, and Agriculture Minister Yoshimasa Hayashi. The family companies of Aso and Hayashi, The Aso Group and Ube Industries respectively, used Allied POW slave labor at company sites included among the nominations. Of the eight industrial areas nominated, five held 26 POW camps with nearly 13,000 Allied POWs providing slave labor to Japan’s industrial giants, including Mitsui, Mitsubishi, Sumitomo, Aso Group, Ube Industries, Tokai Carbon, Nippon Coke & Engineering, Nippon Steel & Sumitomo Metal Corporation, Furukawa Company Group, and Denka. The POWs came from the United States, Canada, the United Kingdom, Australia, India, New Zealand, Norway, Jamaica, Portugal, South Africa, Malaya, Arabia, and Czechoslovakia. In addition, the nominated ports at Kitakyushu, then called Moji, and Nagasaki, were the entry points for nearly 35,000 Allied POWs, of which approximately 11,000 were American. Over 7,000 American and Allied POWs died traveling to Japan aboard the aptly called “hell ships,” and 3,500 more perished in Japan, 25 percent within the first 30 days of arrival. Slave labor in Japan did not begin with World War II. Forced and conscripted labor was a critical part of the mining and manufacturing industries in nineteenth-century Meiji Japan. From late Meiji (1868-1912) onward, Japan used “industrial prisons” to supply labor to factories and mills at private companies. Up until the 1930s, the majority of the miners were convicts with the rest being peasants made landless by Meiji land reforms and “outcastes.” One-third were women. Chinese and Korea labor became important in Japan’s mines and factories, and on the docks. Japan and UNESCO should look to the perhaps surprisingly positive experience of other World Heritage sites that do acknowledge their darker histories. The Liverpool-Maritime Merchant City site is a striking case in point. The Liverpool port served a key role in the triangular transatlantic slave trade of the eighteenth and early nineteenth centuries. Liverpool has acknowledged its substantial role in a deplorable (and what would today be a criminal) business. Liverpool opened in 2007 the International Slavery Museum on the dock and, in 2006, a Centre for the Study of International Slavery at the University of Liverpool. Identical memorials to the victims of slavery stand on the docks of Liverpool, Richmond, Virginia, and Cotonou, Benin, linking this shared memory among them. These resources have drawn scholars and others and have in fact bolstered Liverpool’s reputation has a place where history – both good and bad – can be studied and understood. Of the 21 nations represented on today’s UNESCO World Heritage committee, nationals from six were World War II POWs held on mainland Japan. These are: India, Malaysia, Jamaica, Finland, Poland, and Portugal*. A seventh, South Korea, had hundreds of thousands of its men and women conscripted to work in near slavery conditions. The U.S. does not have a vote in UNESCO. But Washington can speak to its Japanese ally to remind them of the debt they owe American veterans for defending their freedom. On the morning of August 9, 1945, all the POWs in Omuta saw the red cloud rise from Nagasaki across the bay. Although a very modern weapon ended their ordeal at the Miike mine, they had experienced labor in Japan that had changed little since Meiji times. They would not want such forced labor to be repeated and certainly none would want it forgotten. As it stands, Japan’s nomination of Meiji industrial sites is an act of forgetting. It omits the full history of Japan’s industrialization. For UNESCO to accept this is a disservice to its charter and to the memory of the thousands that slaved for Imperial Japan. Mindy Kotler is director of the Washington, DC think tank Asia Policy Point.